Naughty ladies of history. And you thought history was boring? Her name was Lola, she was a showgirl… so far, so true (and with thanks to Barry Manilow), but this particular Lola also happened to be one of Europe’s most beautiful and talked-about women, who married several times and who was linked to some of the most prominent men in Europe. 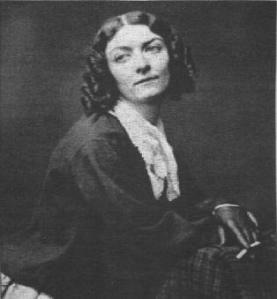 Lola Montez… the name is redolent of exotic allure, and she certainly didn’t disappoint. Lola’s reputation for being a beautiful and temperamental seductress who could wrap men around her finger was well deserved, but what wasn’t so well known at the time was that she was actually Irish. Thanks for the reblog, Carol! It improves my site, don’t you think? Great stuff.